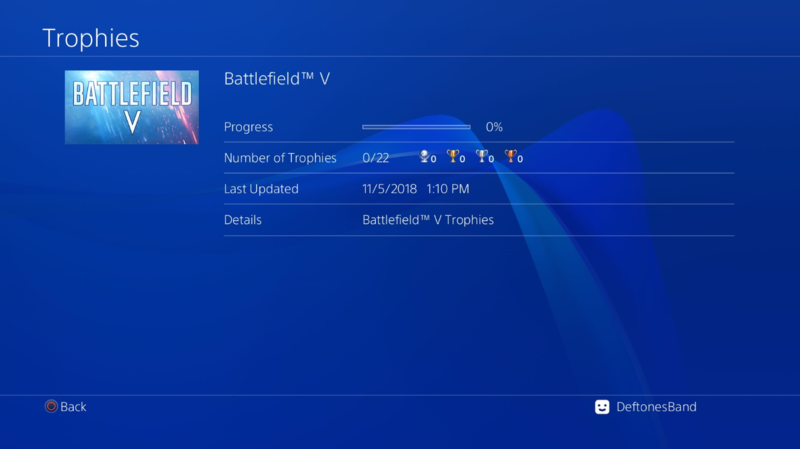 With the launch of Battlefield V just over a week away, a PSNProfile's member revealed a list of all the trophies, including images, that will be in the upcoming EA title. In total there are 22 trophies available with 1 platinum, 7 gold, 11 silver, and 3 bronze. Below is a list of all the trophies you can earn on the game, with most of them coming through multiplayer.